Just back from the Flathead Valley of Montana and making our years supply of huckleberry jams. Cream eggs, butter and sugar together. Add flour, milk, and vanilla. approximately 40 minutes or until done. My Mother used to make us She learned from her Mother. I have Iroquois, Cree, Chippewa, Sioux, Assiniboine, Ottawa, Blackfoot, French, Scottish........ Mom would also make up a big mess of Fry Bread to go with them. She would use hamburger meat, onions cut very tiny, salt and pepper and enough flour to bind them together well. She would make them the size of meatballs, and let them boil for hours until a nice thick gravy was visible in the pot. I'm telling you they were good. I make them a few times a year, but can never get them to taste as good as hers. 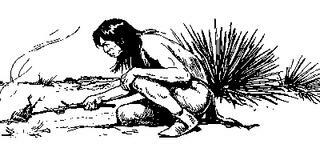 If anyone out there would like to recieve a Native American Recipe just post a request. There are over 3,000 recipes in our data base. We would be happy to share any with you. We consider Native American Food as a living and progresive cuisine and ralate to both historic pre arrival foods as well as foods curently popular with Native Americans cooks. 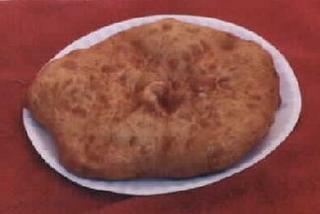 Fry Bread is the one link to all the Nations. Here is one of which there are many. floured surface until about 1/4-inch thick. Deep fry until golden brown. ingredients like a soft taco or wrap.